A high potency vitamin B complex that supports the body to achieve maximum energy levels and cope with stress. 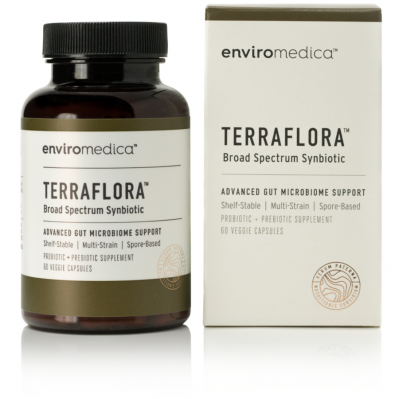 Terraflora is a novel broad-spectrum synbiotic formulated with a combination of spore form probiotics, and advanced, food-based, ancient prebiotics designed for robust support of gastrointestinal health. 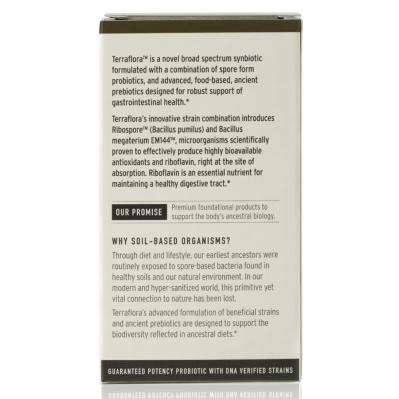 VIABILITY - The natural seed-like structure encasing the probiotic bacteria in Terraflora™ protects them against degradation by stomach acid, so they reach their target destination — the lower GI tract — intact and alive. 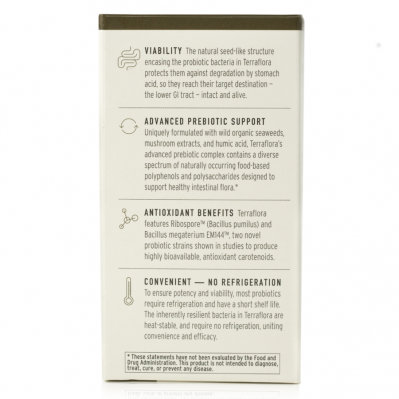 ADVANCED PREBIOTIC SUPPORT - Uniquely formulated with organic seaweeds, mushroom extracts, and humic acid, Terraflora's advanced prebiotic complex contains a diverse spectrum of naturally occurring food-based polyphenols and polysaccharides designed to support healthy intestinal flora. ANTIOXIDANT BENEFITS - Terraflora features Ribospore (Bacillus pumilus) and Bacillus megaterium EM144, two novel probiotic strains shown in studies to produce highly bioavailable, gastric stable antioxidant carotenoids, right at the site of absorption. CONVENIENT - NO REFRIGERATION - To ensure potency and viability, most probiotics require refrigeration and have a short shelf life. The inherently resilient bacteria in Terraflora™ are heat-stable, and require no refrigeration, uniting convenience and efficacy. Microflora contains "Soil-Based Organisms (SBO)". Assists maintenance of healthy GI-tract's micro-floral ecologies. Helps promote normal bowel function. Helps in supporting gut immune-system. 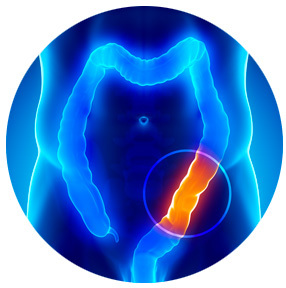 It may assist in stabilizing the gut mucosal barrier. It helps to facilitate normal absorption and assimilation of nutrients in the gut. 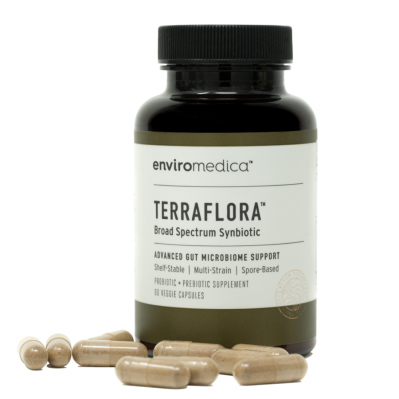 Terraflora’s innovative strain combination introduces Ribospore™ (Bacillus pumilus) and Bacillus megaterium EM144, microorganisms scientifically proven to effectively produce highly bioavailable antioxidants and riboflavin, right at the site of absorption. Riboflavin is an essential nutrient for maintaining a healthy digestive tract. Take 2 capsules of TerraFlora per day for the first 30 days. Followed by 1 to 2 capsules per week thereafter, or as recommended by your healthcare professional.